Naturally, there are a number of pools in the region where you can swim a few lengths. However, you can just as easily swim in recreational waters. 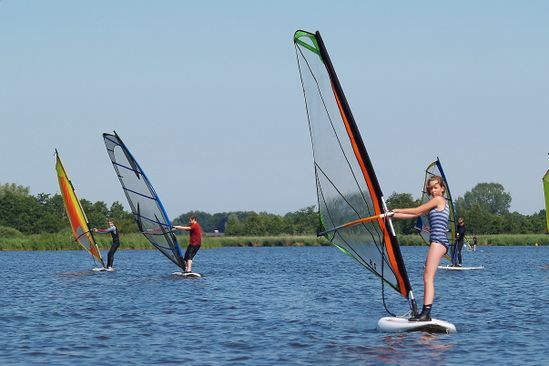 At Watersportcentrum Cnossen, you can swim and relax at the Leekstermeer. Also enjoy the magnificent view over the water from the terrace here. If you would like to swim, sunbathe, and play, you can also go to the Rono beach, which is a true paradise for sun worshippers in nice weather. But of course, the various brooks are also an invitation to make a splash or take a footbath.